Designed for professional use but also perfect for extra retail sales to boost salon profitability. This simple, elegant design has excellent ergonomics and is easy to use. With a 2000 watt motor it has outstanding heat to air ratios, an energy saving design and is lightweight; giving you the very best performance at the lowest possible price. 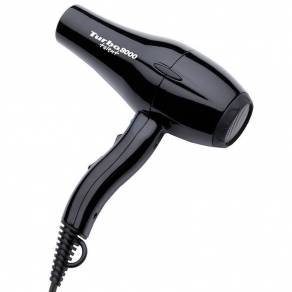 The Turbo Talent 8000 features 4 heat and 2 speed settings, an instant cold shot button, 3m salon length cable, 2 concentrator nozzles, a diffuser and a removable filter for easy cleaning. Attractive matt suede-like appearance giving huge performance and value for money. Super strong 1400w AC motor for quietly driving the large air-fan at two speeds up to 15,000 revs per minute. 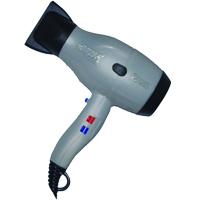 Six heat/thrust settings including instant cold air at slow or fast speed. Thermostatic element made from special chrome-steel wire and laminated mica for high output and strength. Highly effective mega filter keeps working parts clean and reliable - clean daily for salon use. 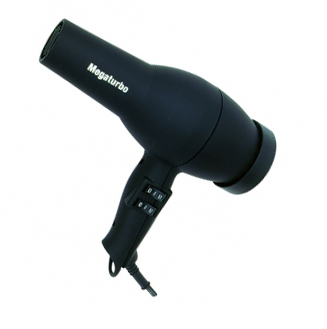 The Megaturbo 2000 comes with a diffuser and a 3m salon length cable. A high powered 2000w professional dryer with larger than average width nose (perfect for drying long hair quickly) and shorter body length (less cumbersome for home blow drying). 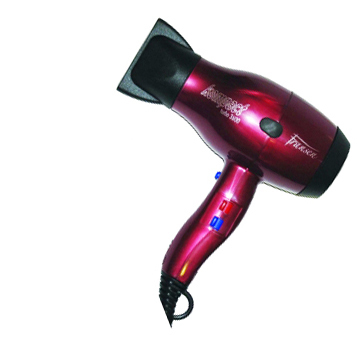 This dryer is super lightweight, features an ergonomic handle, concentrator nozzle, removable filter, 3m salon length cable and a diffuser.